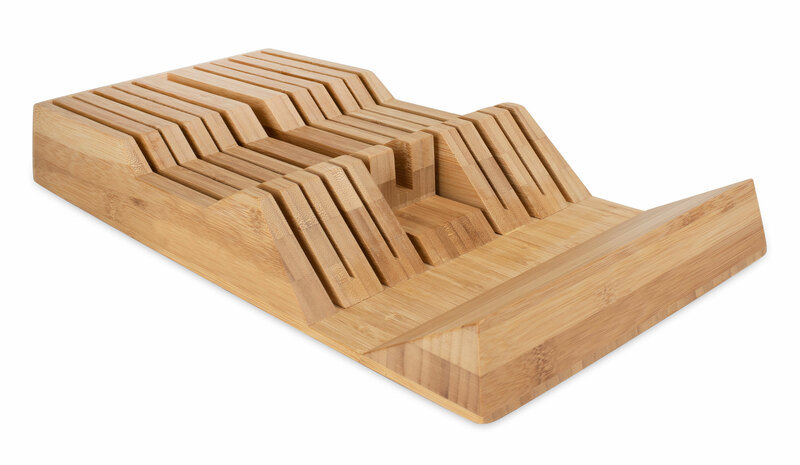 Perfect cutlery storage solution when you are tight on counter space. 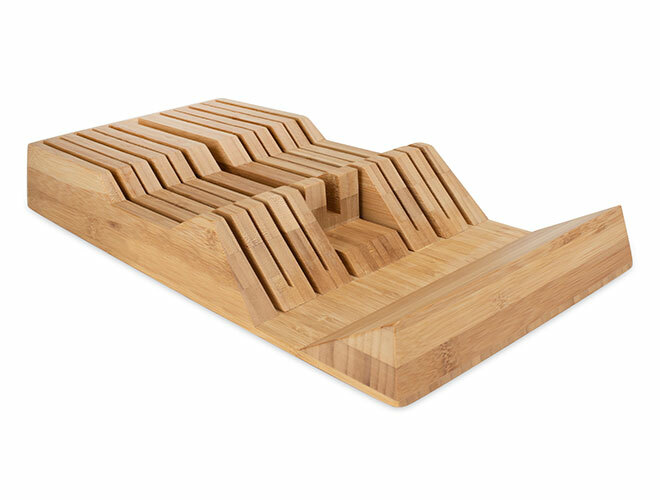 This 11-slot in-drawer bamboo knife tray features 13-inch long knife slots and a place to hold your honing steel in place. 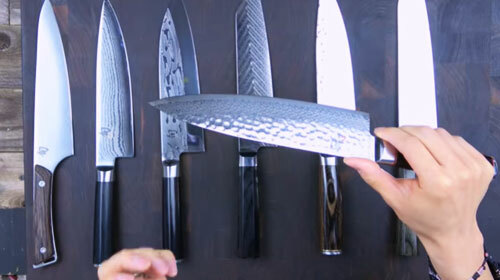 Depending on your cutlery collection, you can double shorter knives in one slot. Bamboo is known for its durability and is 16% harder than maple wood and protects the knife blade edge from becoming dull.